With the device facing down, open the SIM card slot cover. Insert the SIM card with the gold tabs facing down. 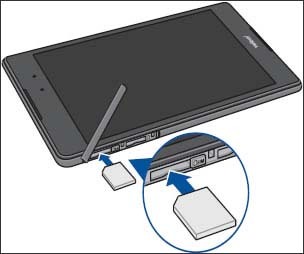 Push the SIM card in the slot until it locks in place.